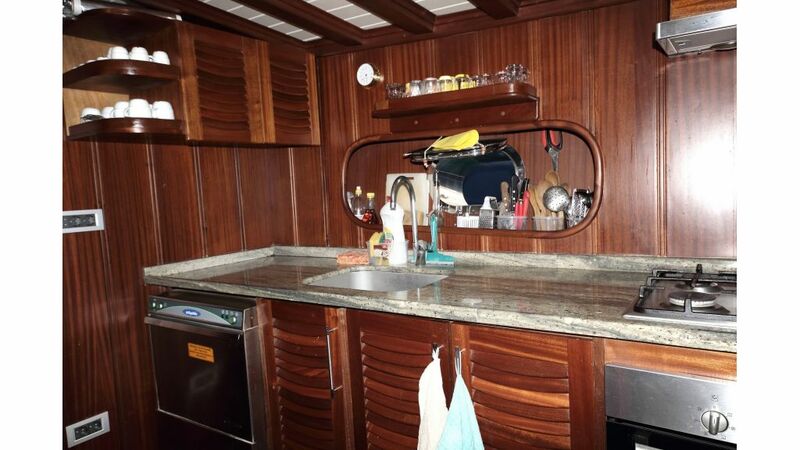 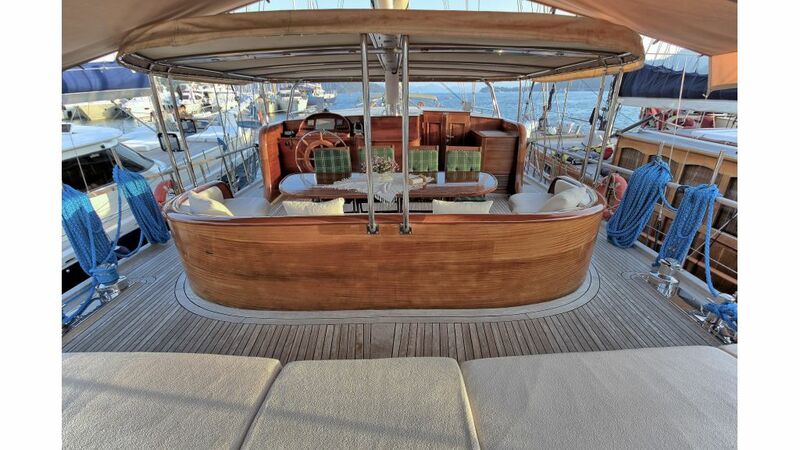 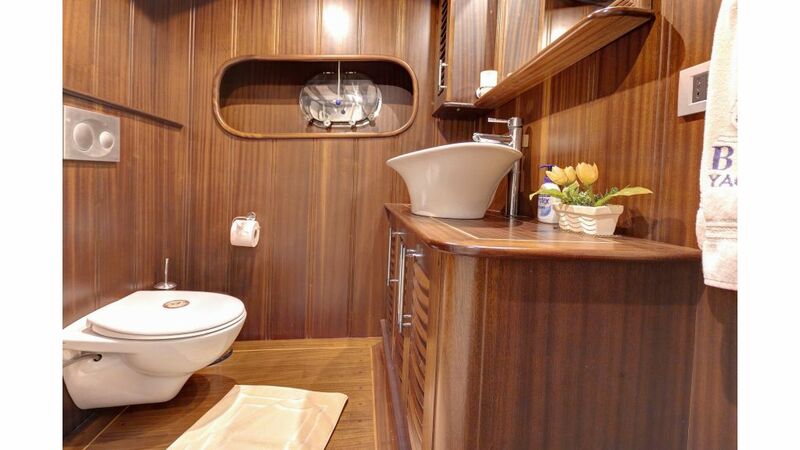 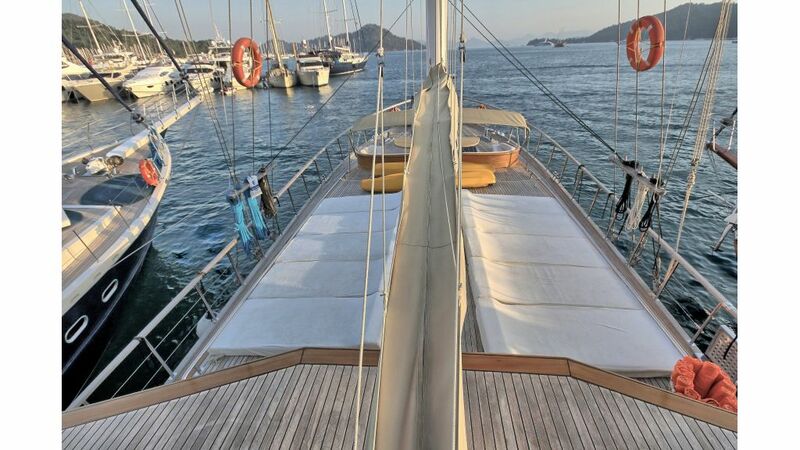 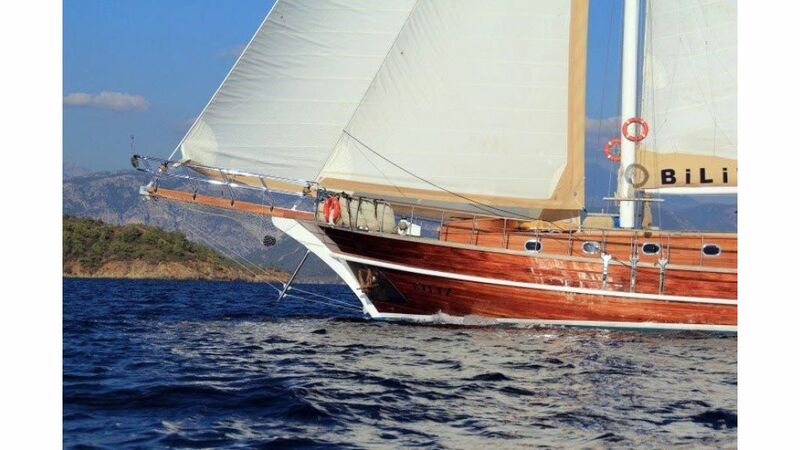 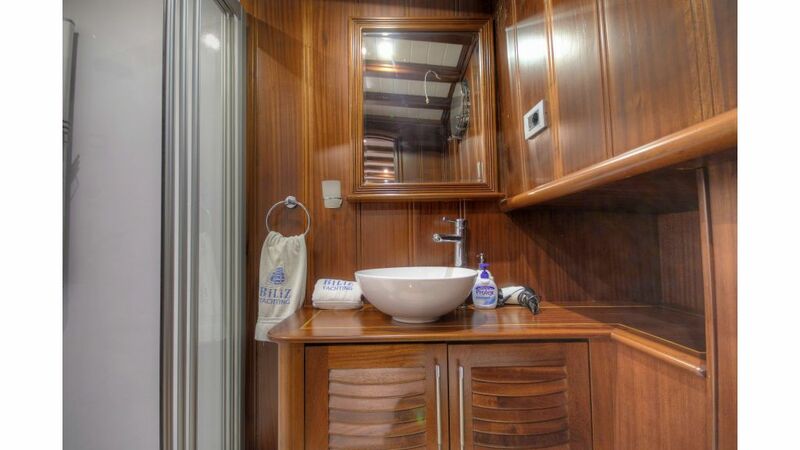 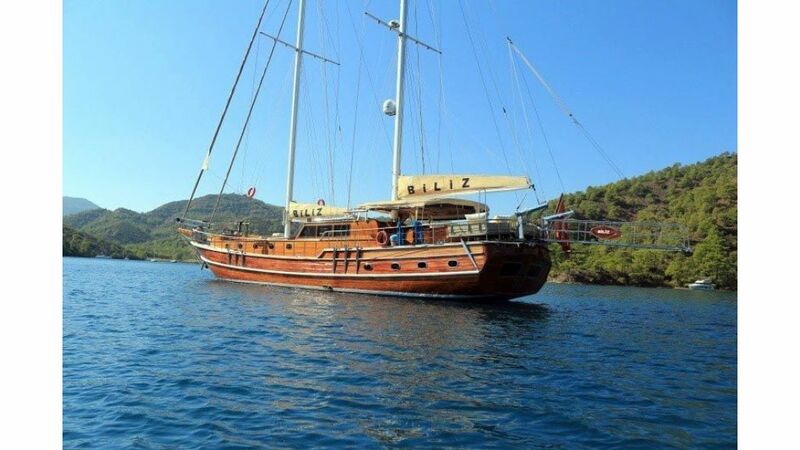 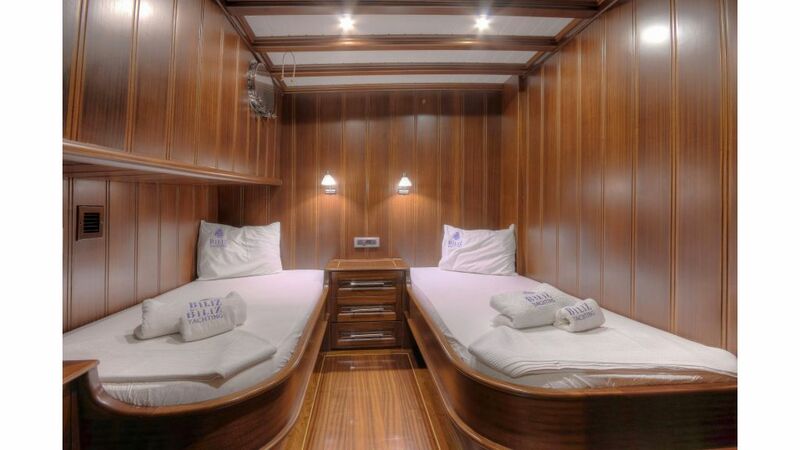 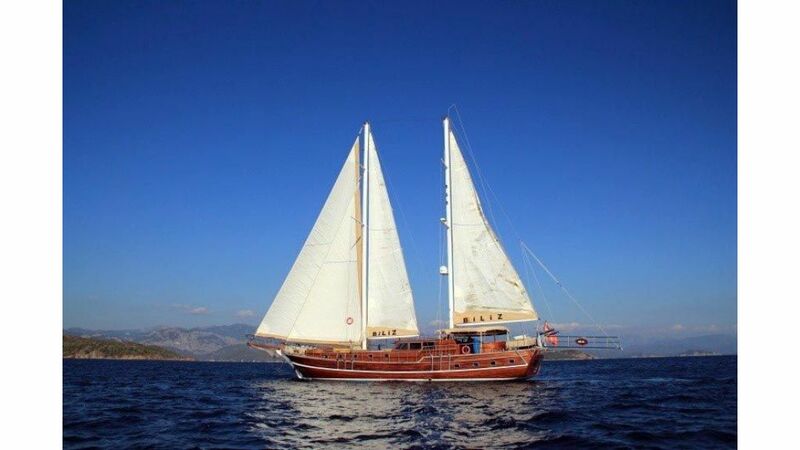 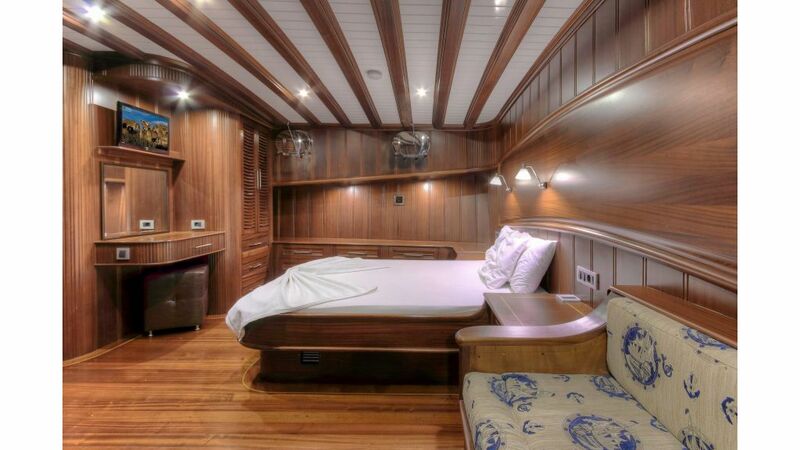 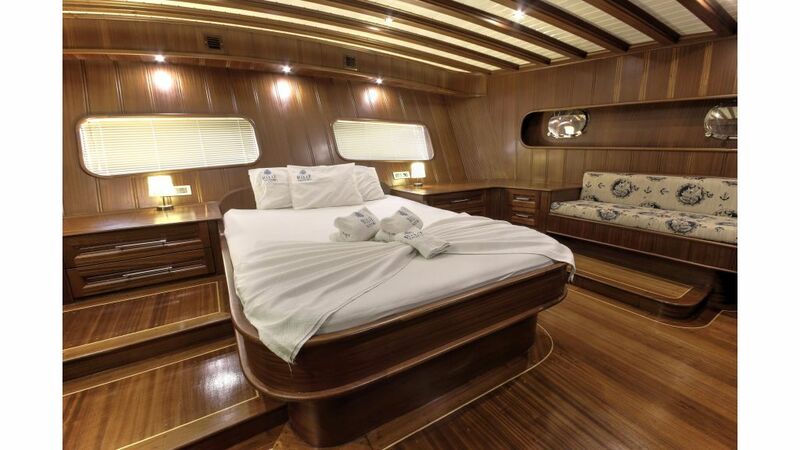 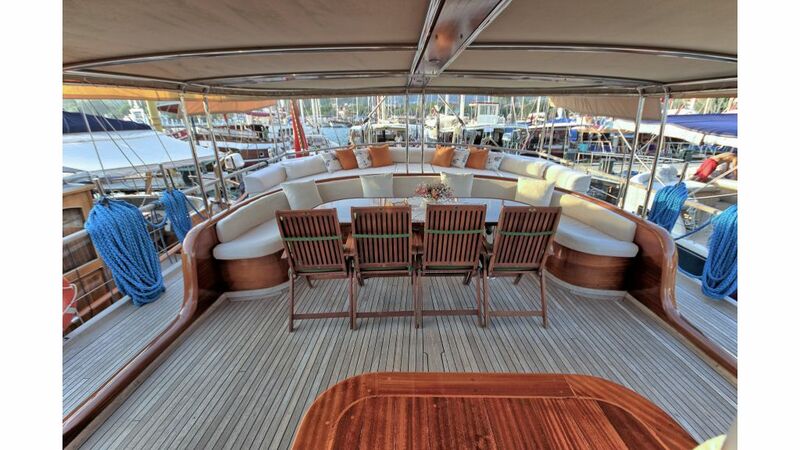 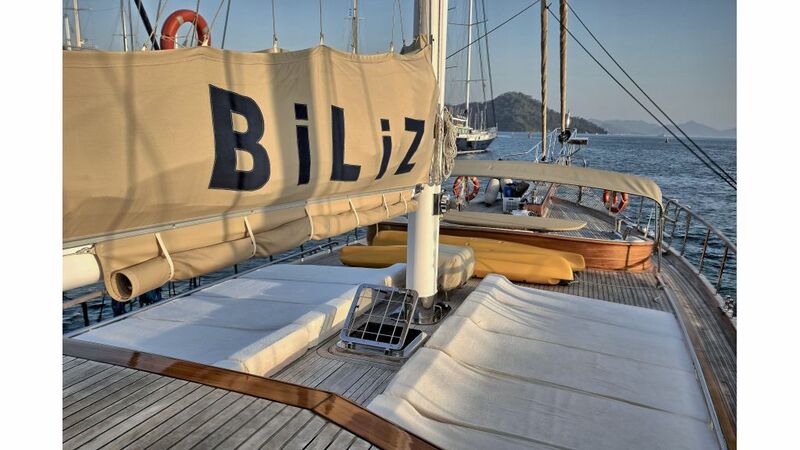 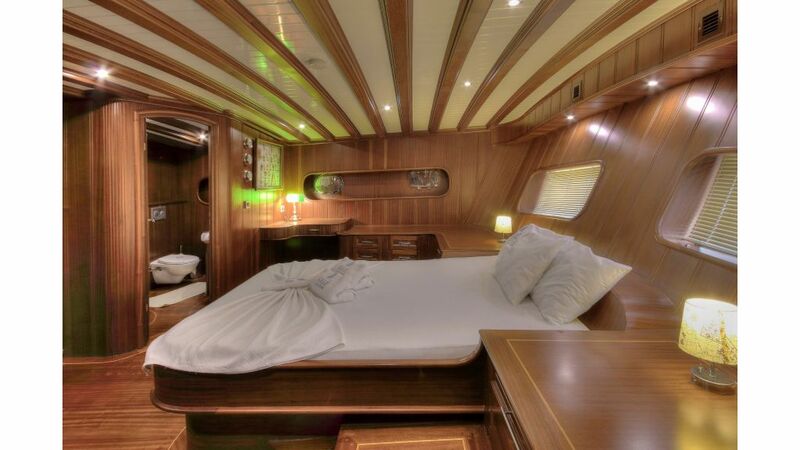 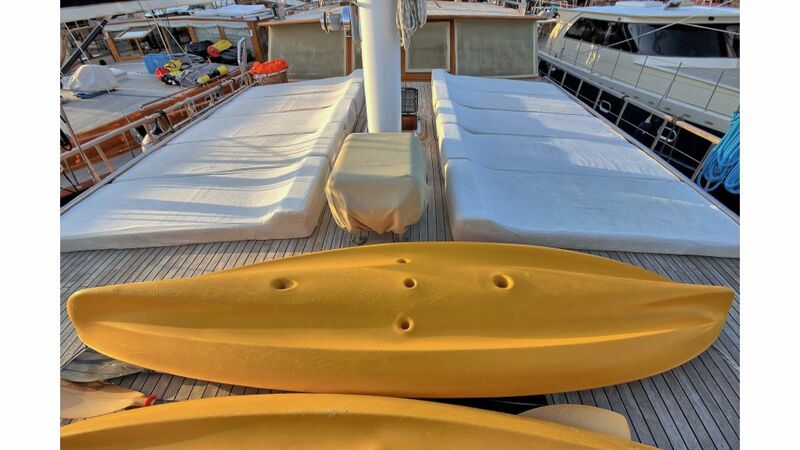 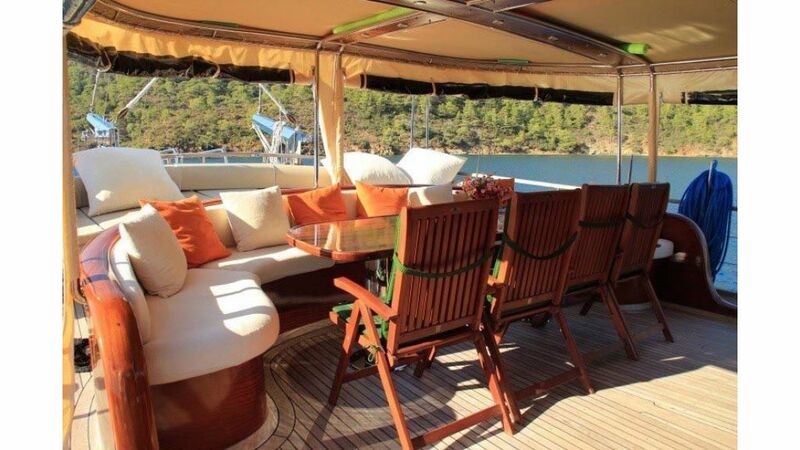 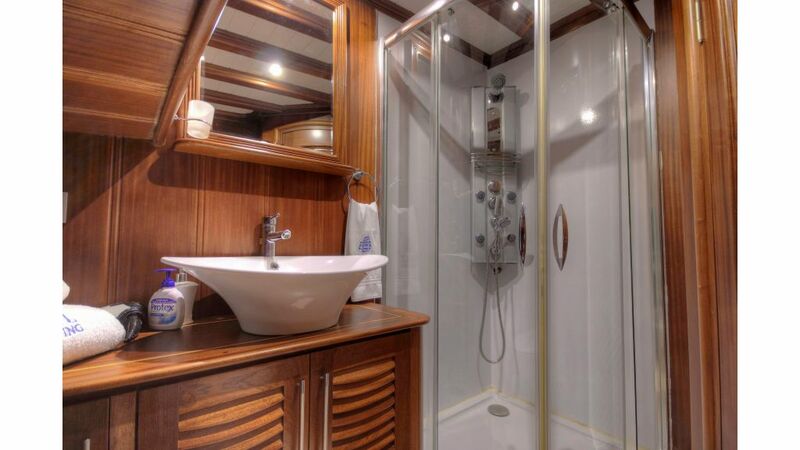 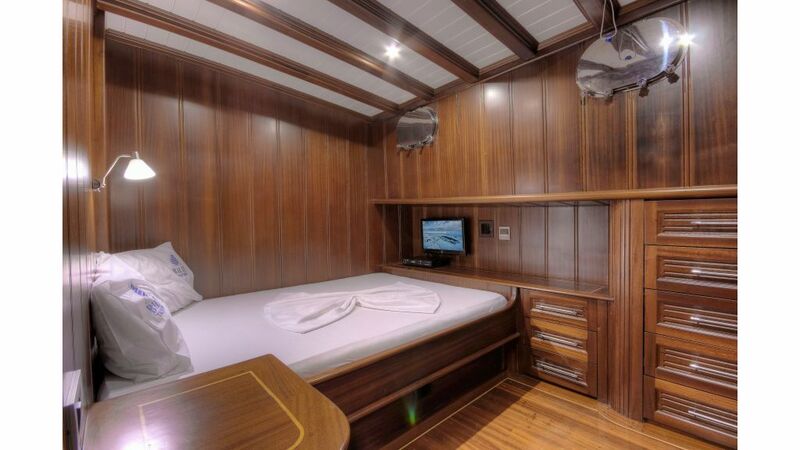 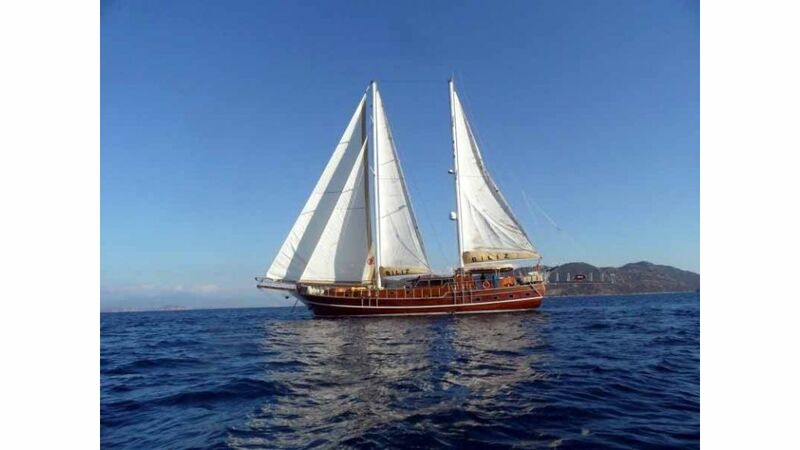 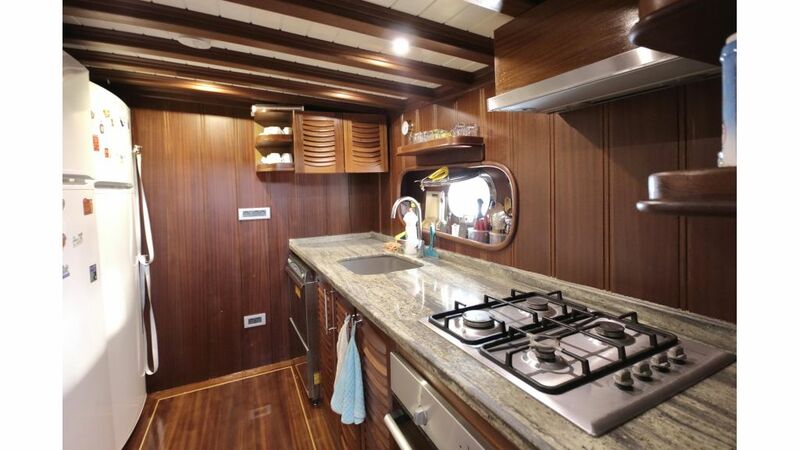 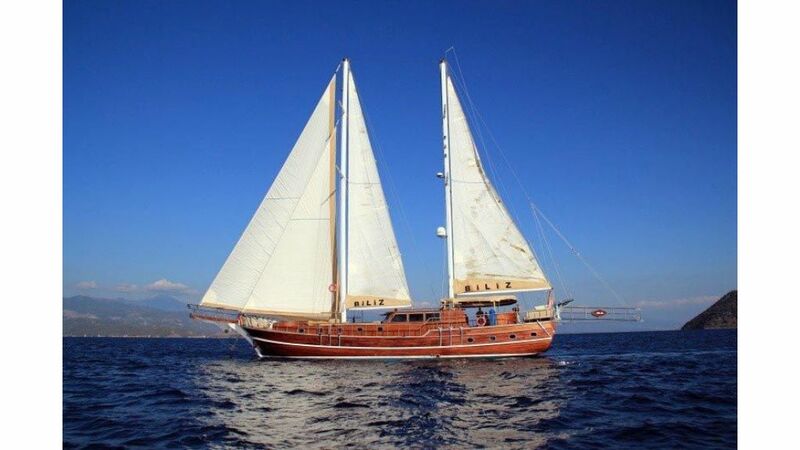 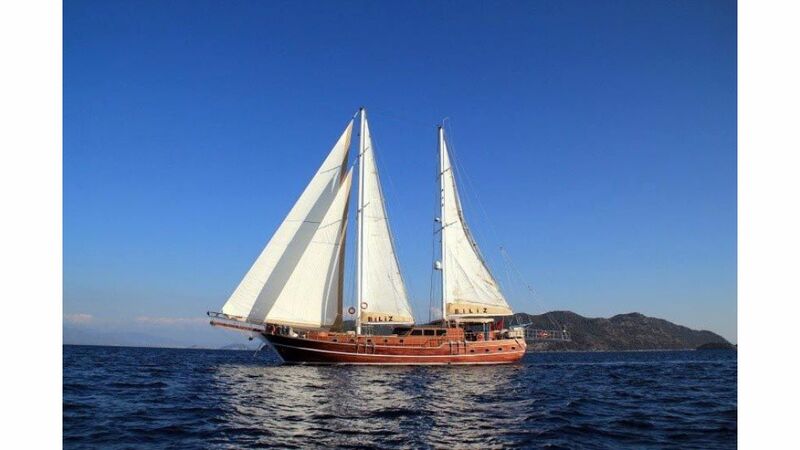 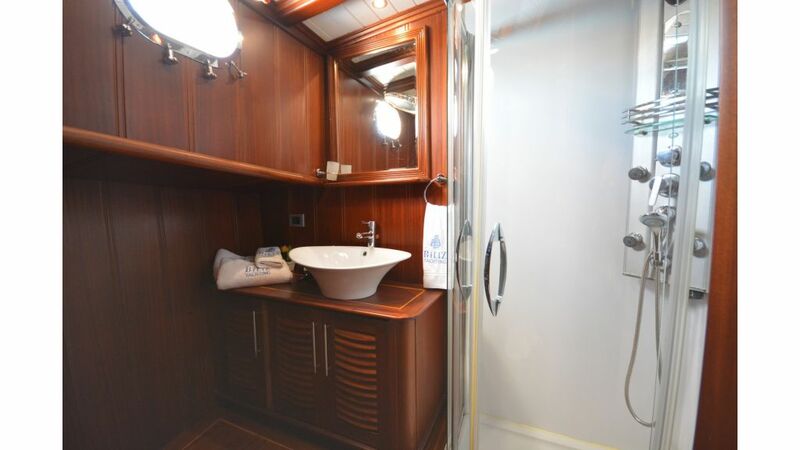 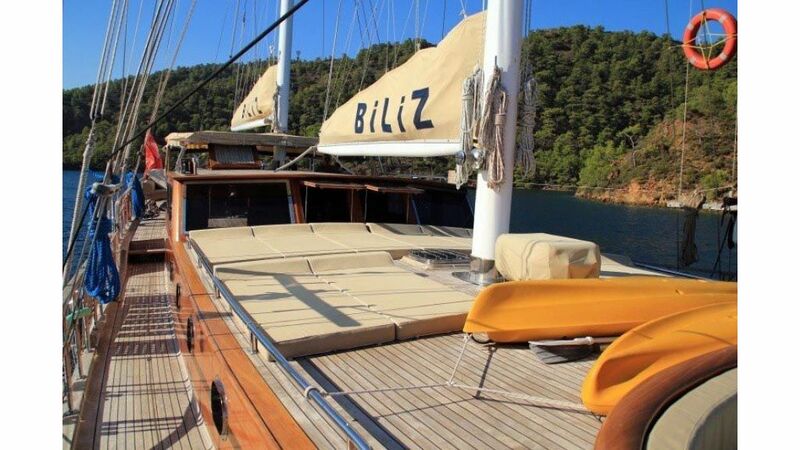 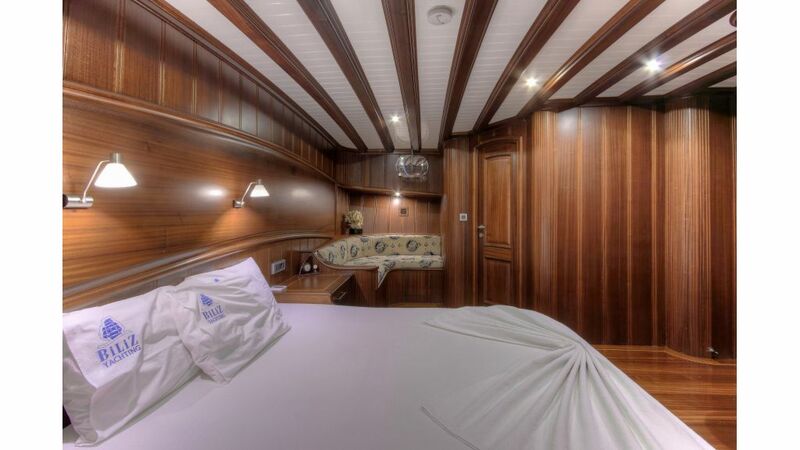 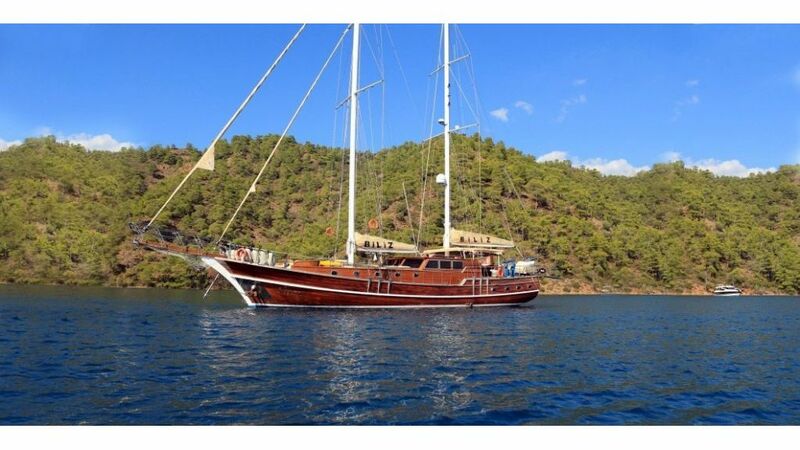 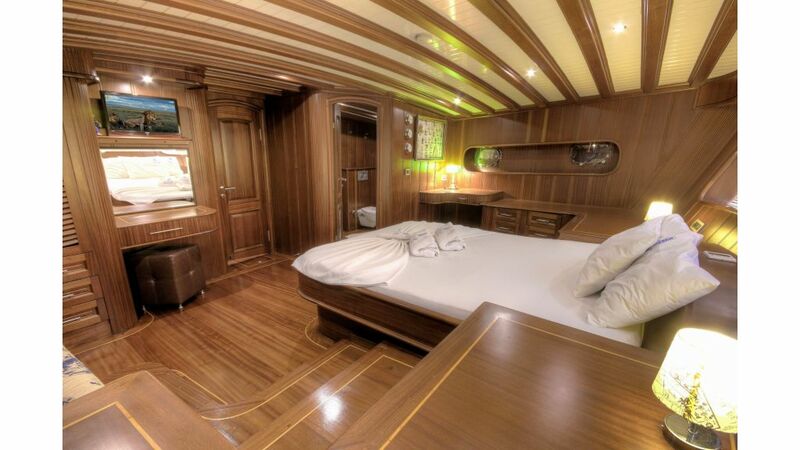 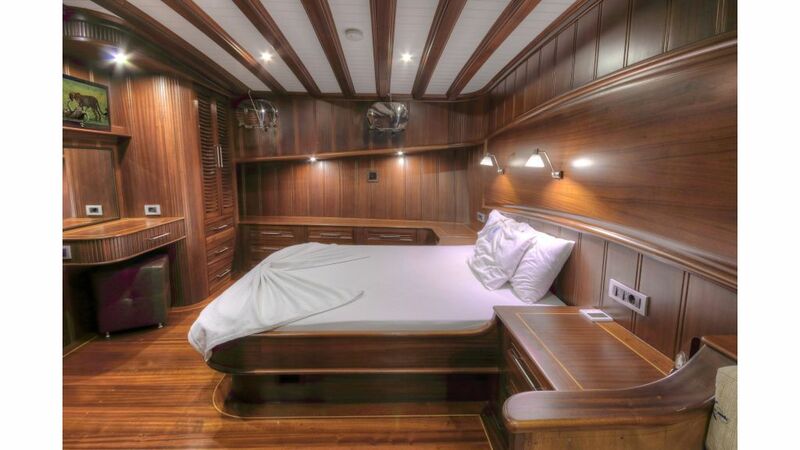 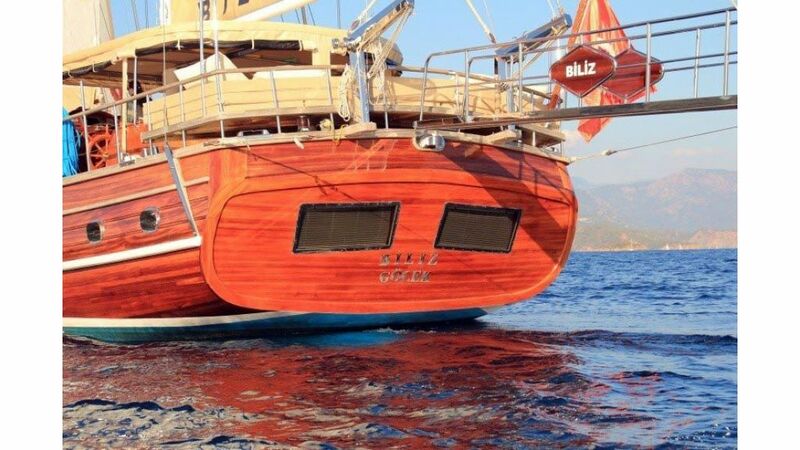 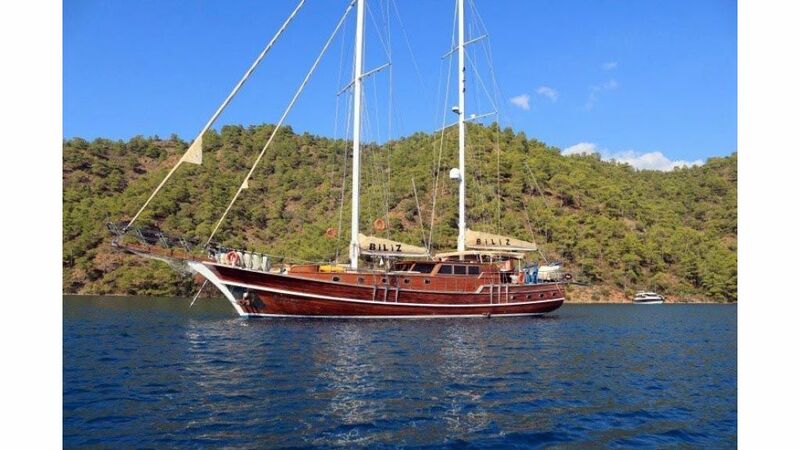 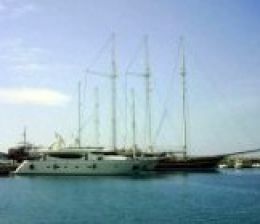 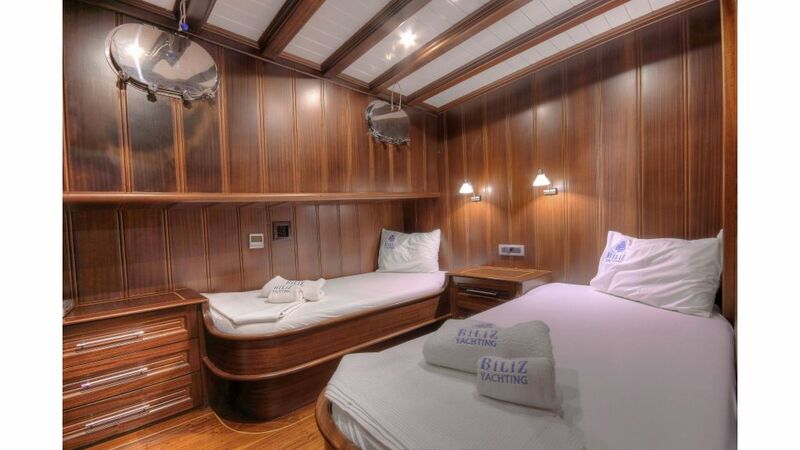 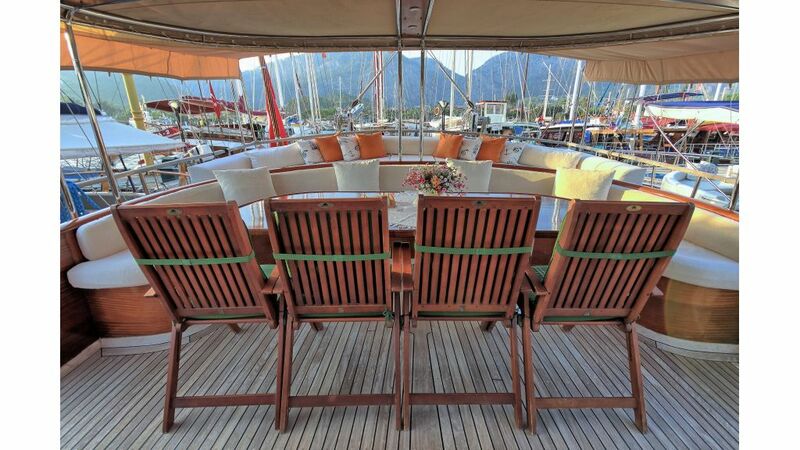 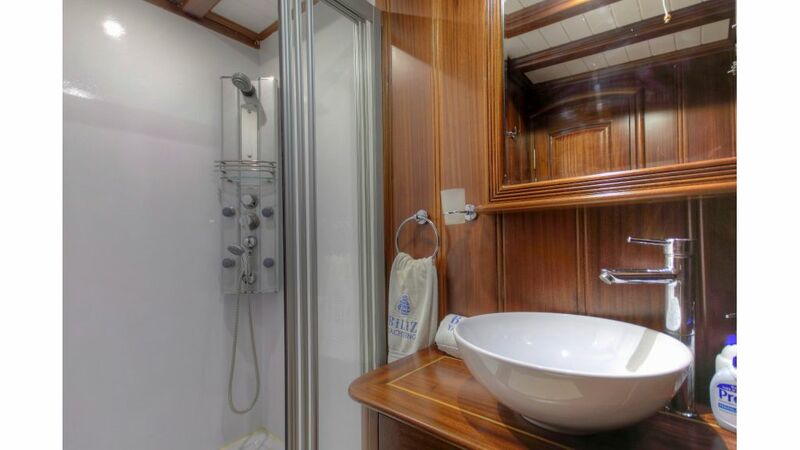 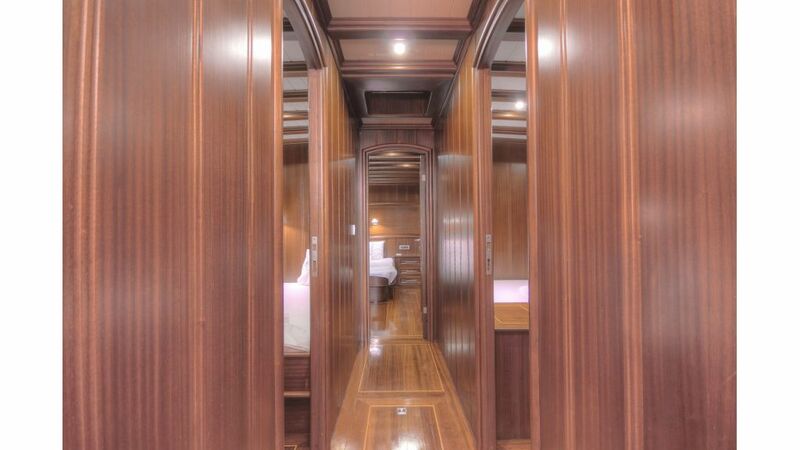 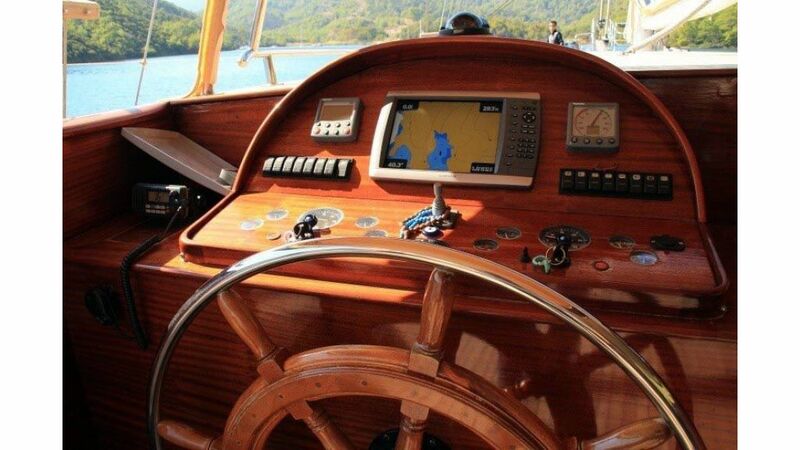 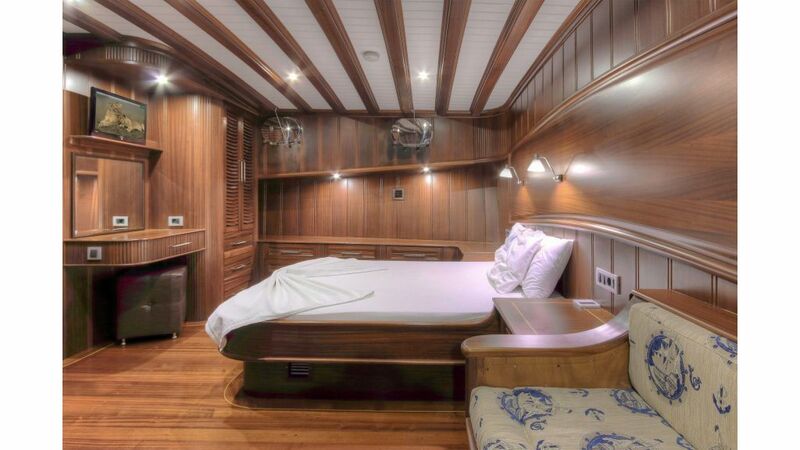 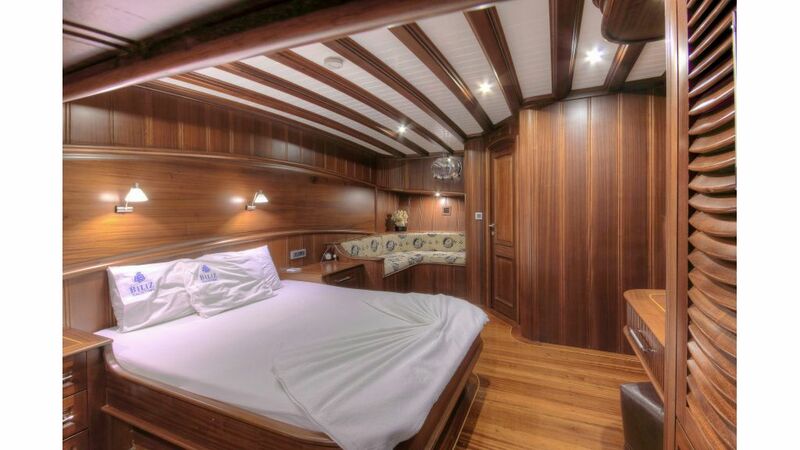 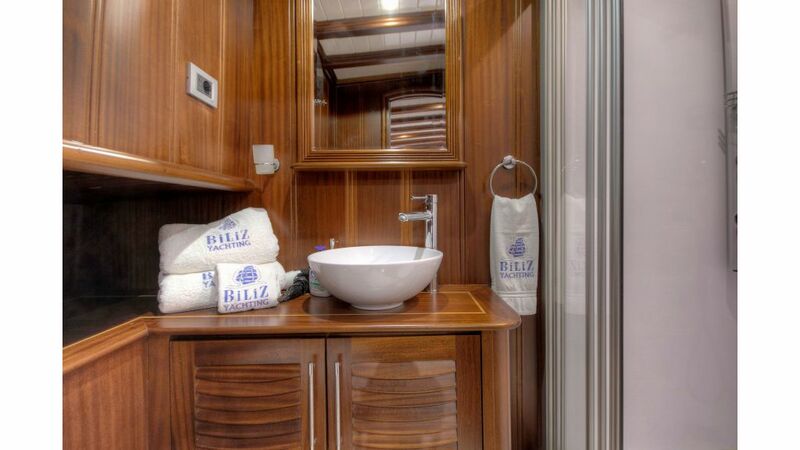 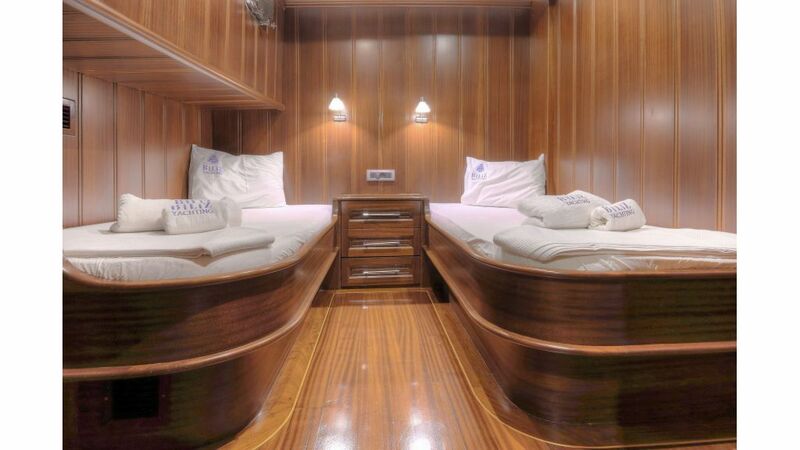 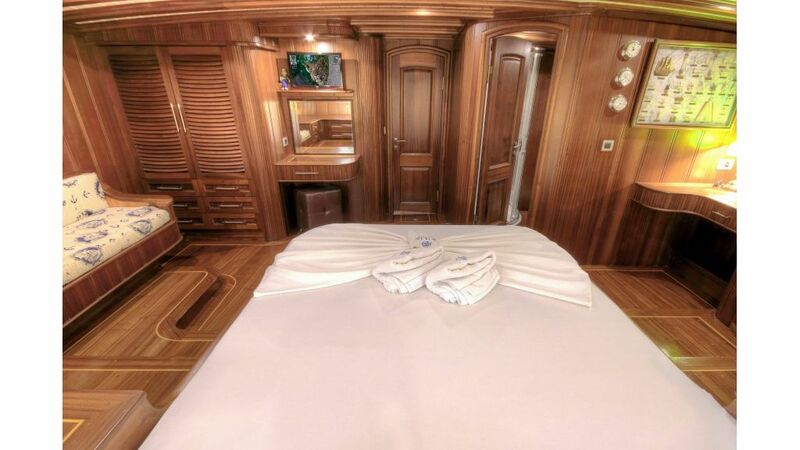 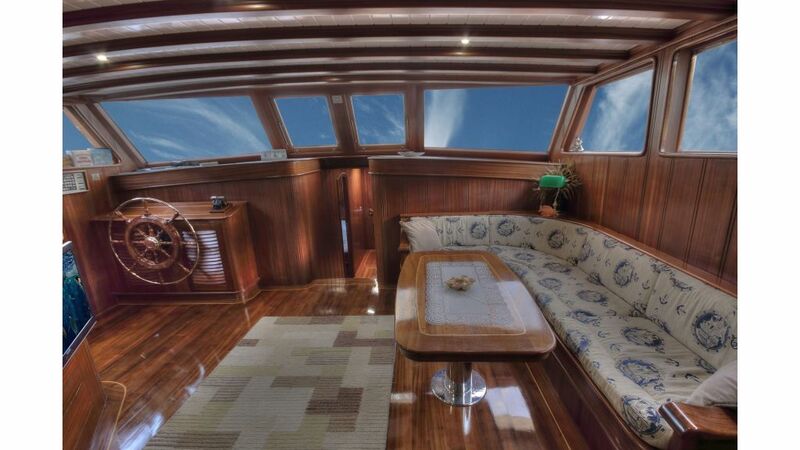 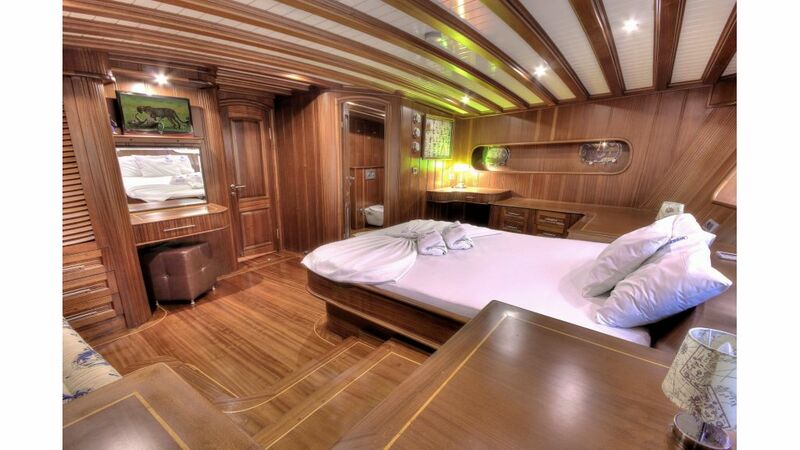 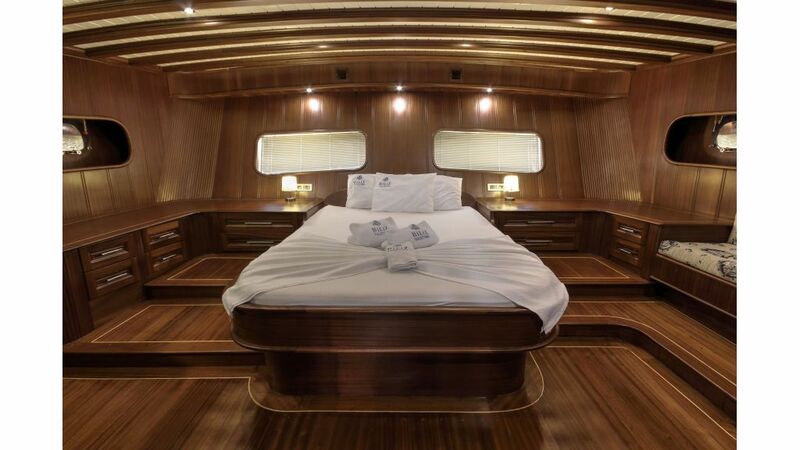 Transom gulet BILIZ happens to be making her maiden charter trip this year, since she was completed at the end of summer 2011 and successfully proved that she is capable of accomodating 8 guests in 4 very spacious and comfortable cabins. 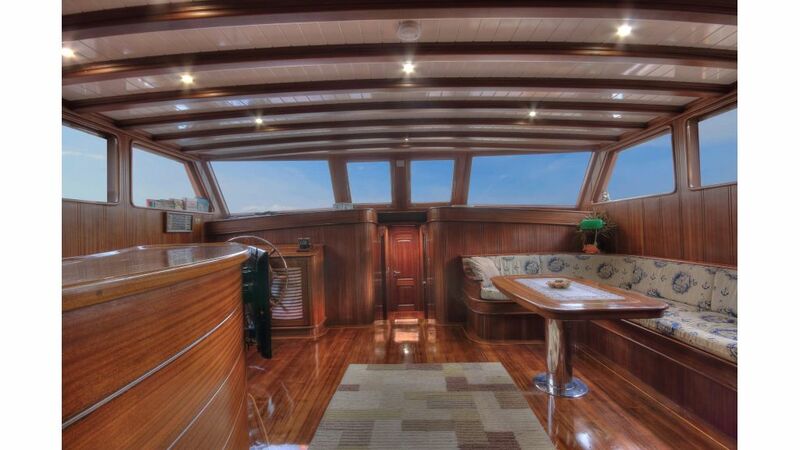 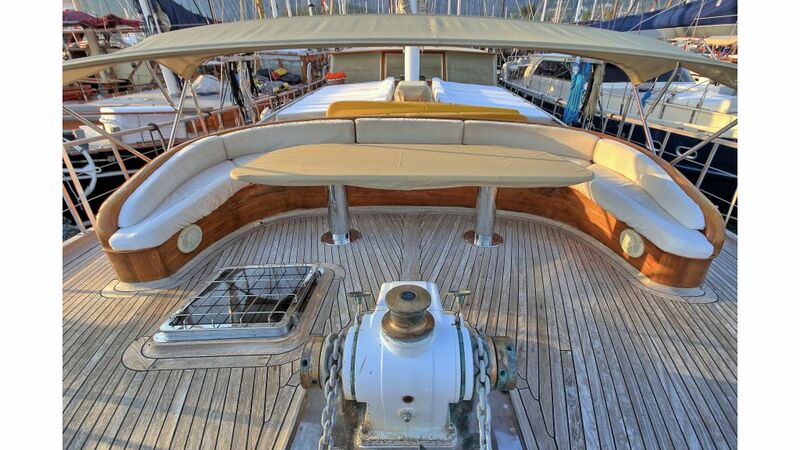 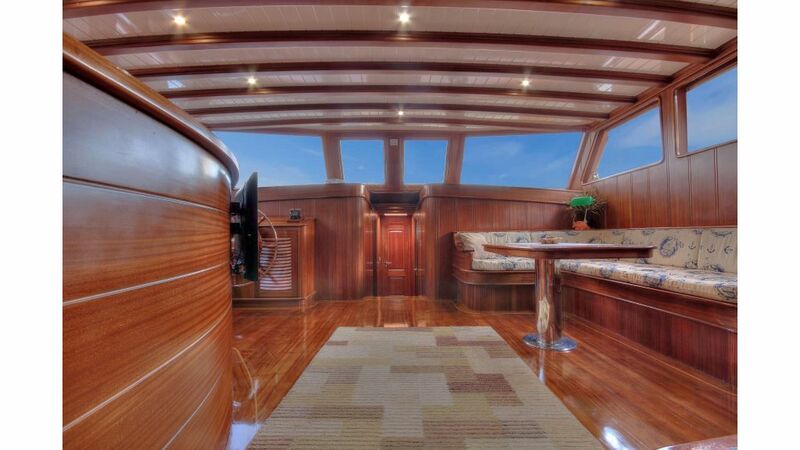 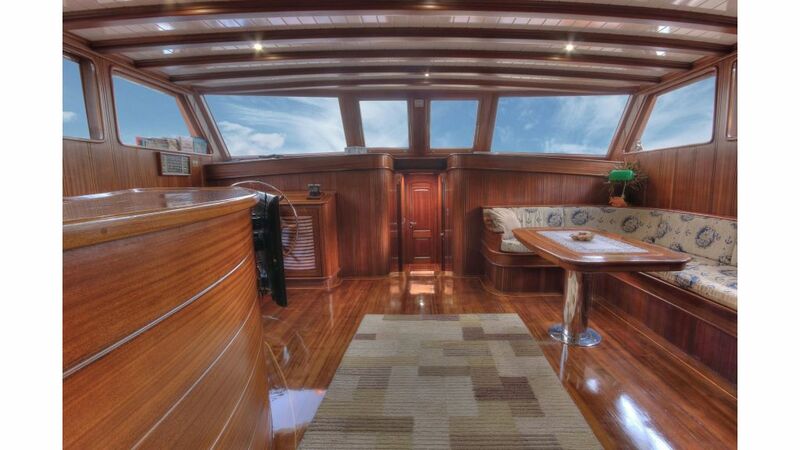 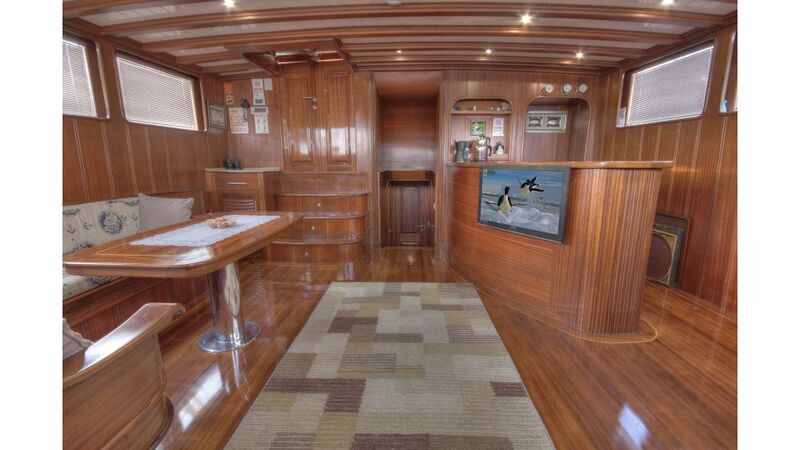 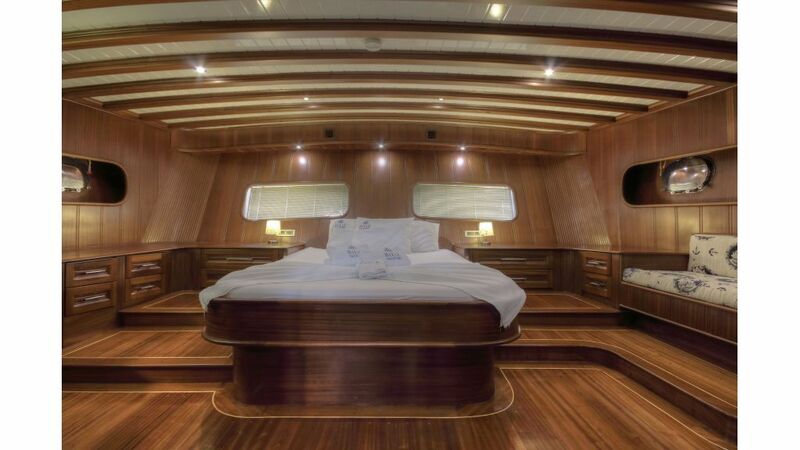 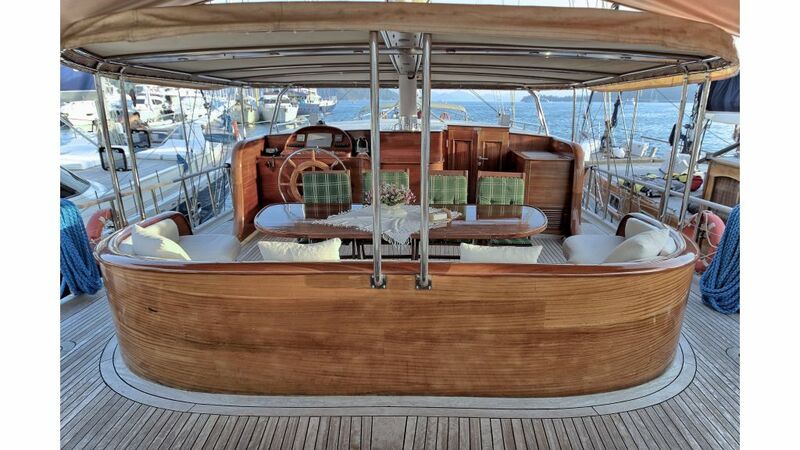 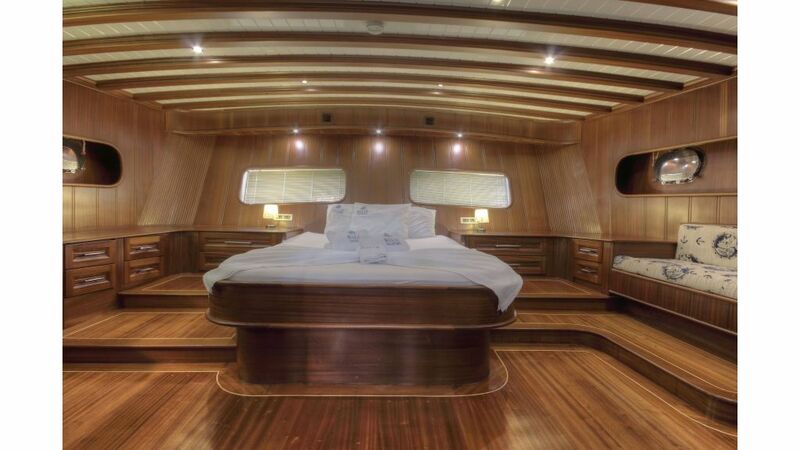 She was built with Lloyd standards on three layers of epoxy laminated mahogany and she looks like an artistic wood carving out of a tropical forest. 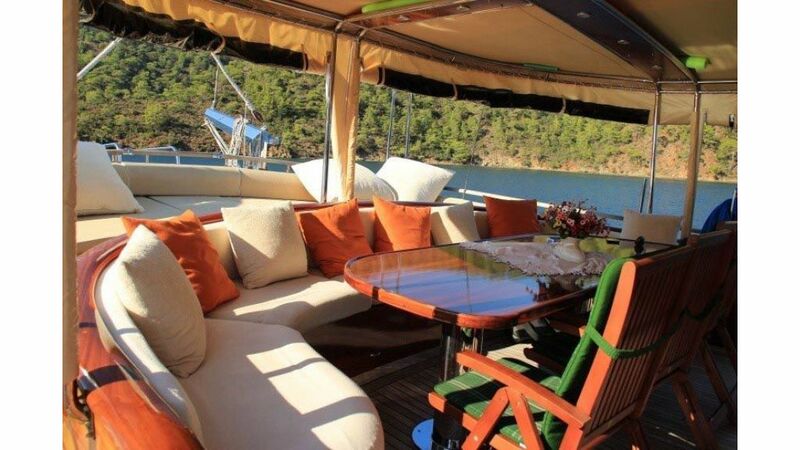 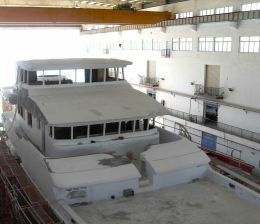 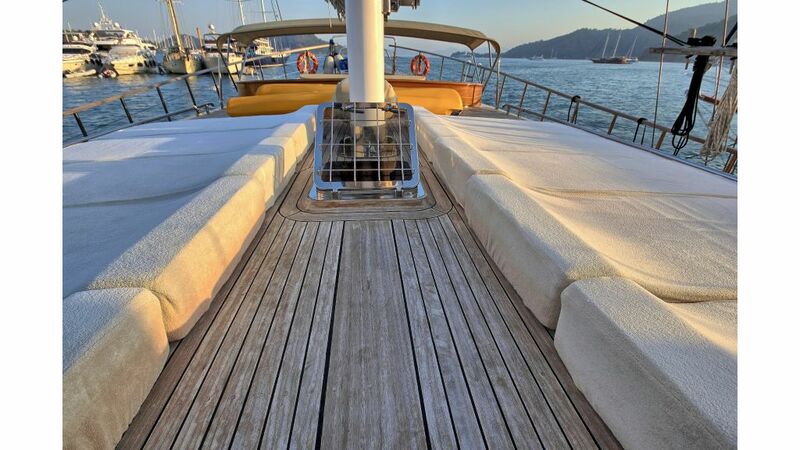 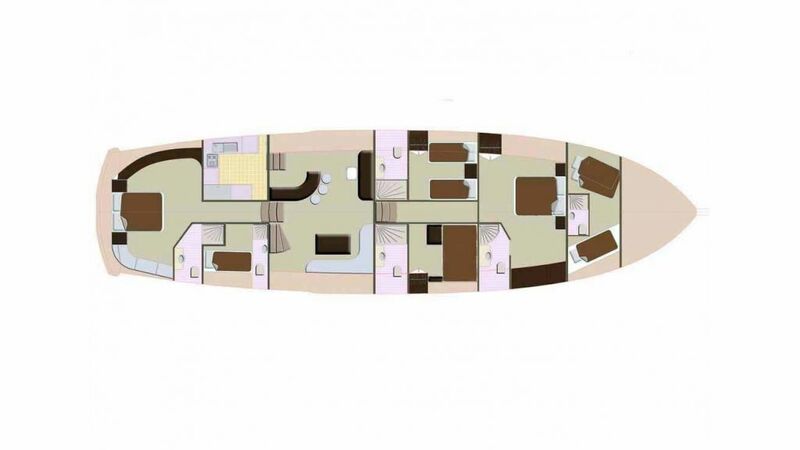 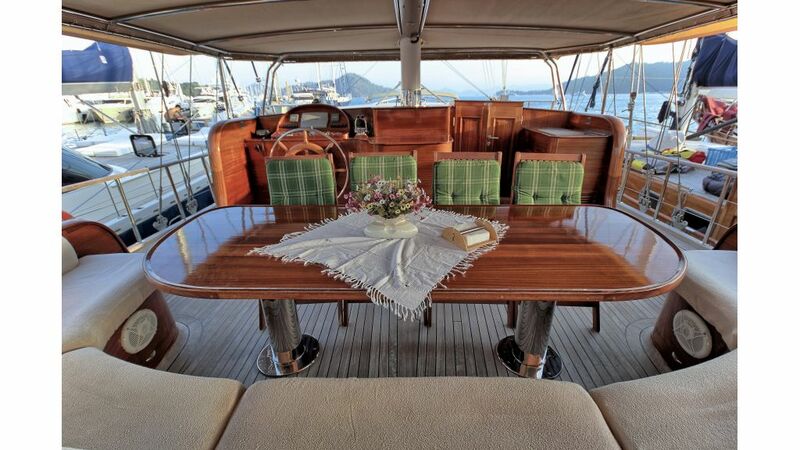 with her twin engines and powerful generators she offers comfort and seaworthiness for her guests in southwestern Turkish riviera the eastern mediterranean , namely luxury yacht charter in Turkey and the greek islands.